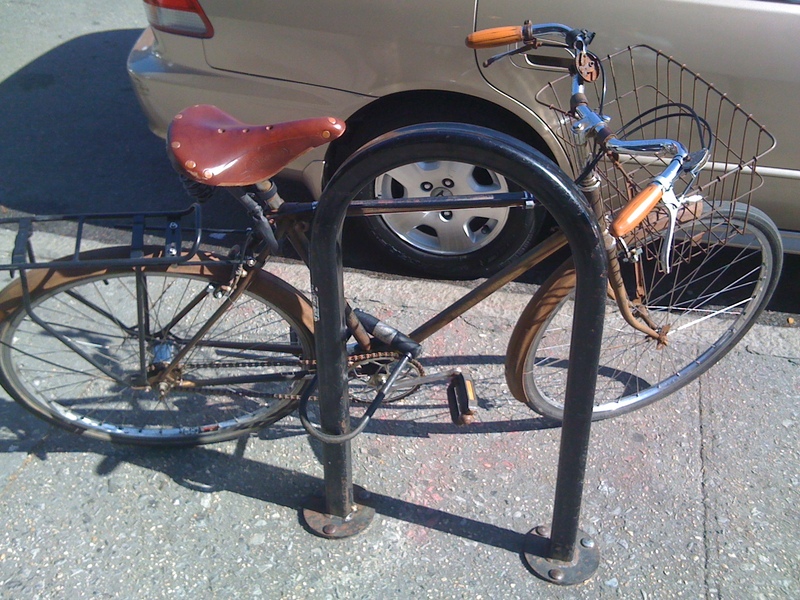 Completely rust-covered Raleigh-ish 3-speed, brand new Brooks. 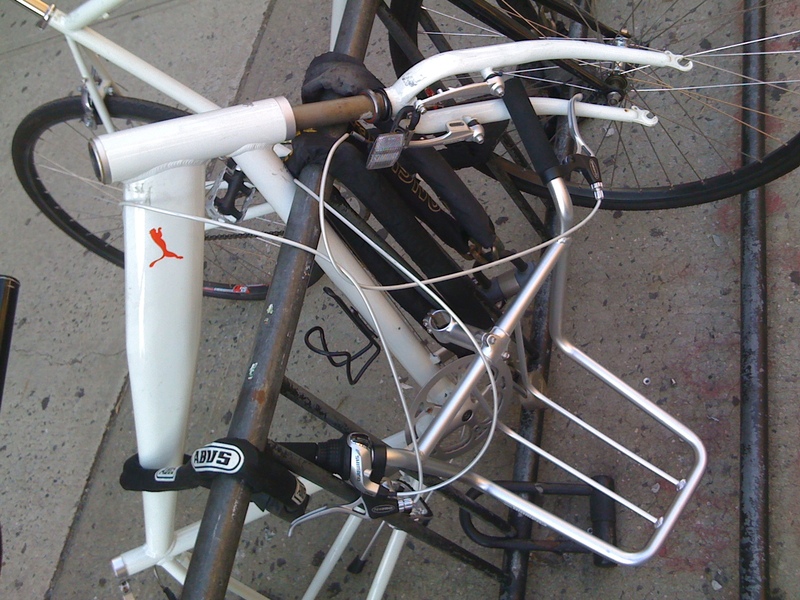 A Puma something on the rack in front of a fancy gym. Good lock, bad everything. A DIY Linus Chopper. 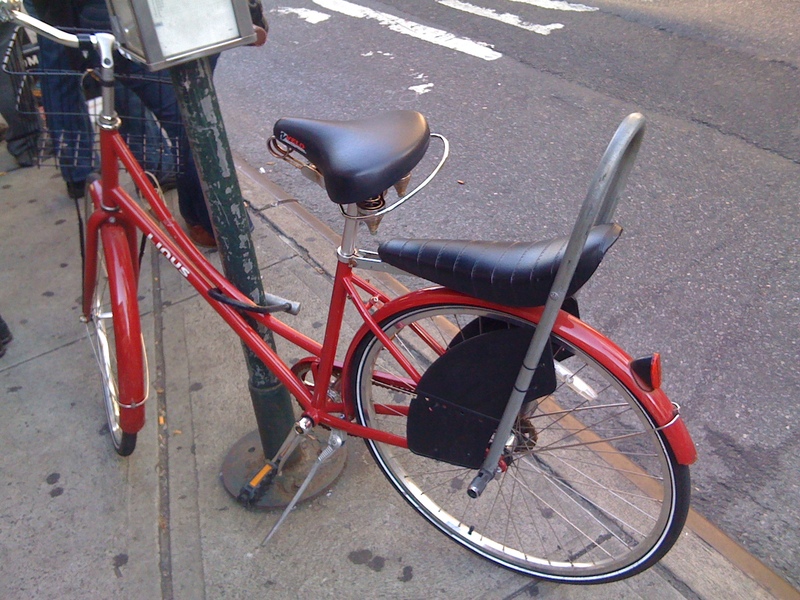 With pegs, leg guards, a saddle handle! Somebody thought this one out. That is an impressive Linus mod – although I wonder if it can handle much more than 50 lbs back there.